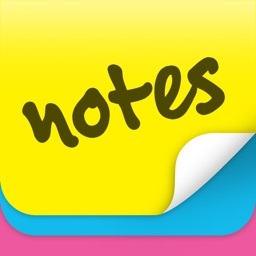 Notes now can attach photos. All photos are sync with icloud too. 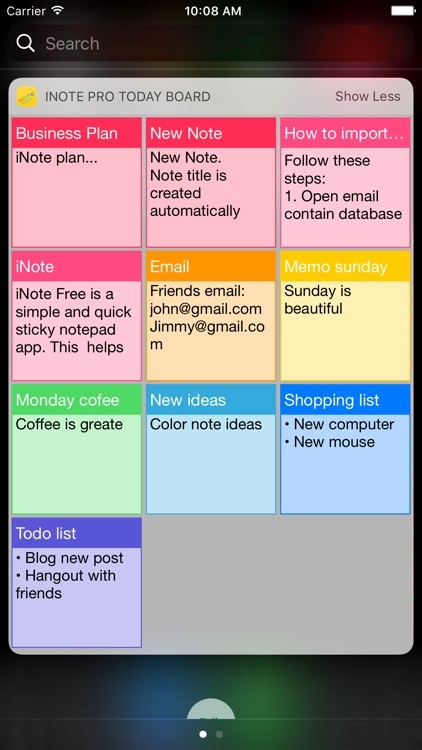 You can view your notes in grid (like sticky note), quick list, or detail list. 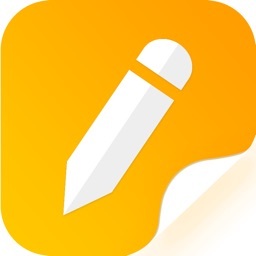 This app helps you sort notes by color, remind time, updated time, created time, or title name. So you can view these note quickly and super easily. 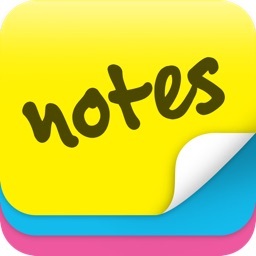 Your notes is sync with your iCloud account, so you can take note on iPhone and use on your iPad and vise versa. You will never lost note because your data is saved on iCloud. You can backup your data, send via email then import them on all of your devices when ever you want. 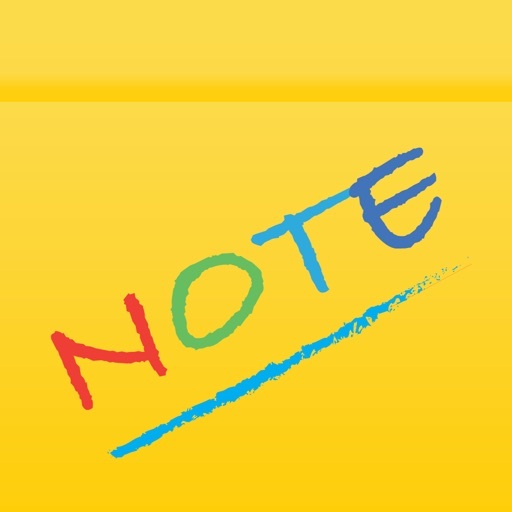 This app supports importing notes from ColorNote app on other devices, so you will never miss your notes. 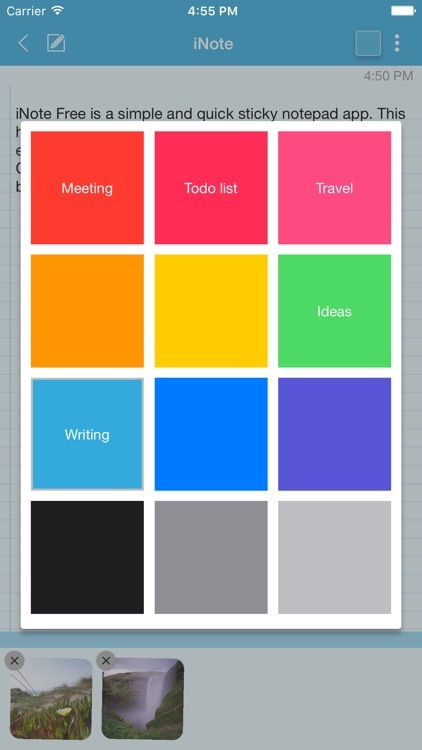 In the checklist mode, you can take note quickly and re-arrange to-do items easily. 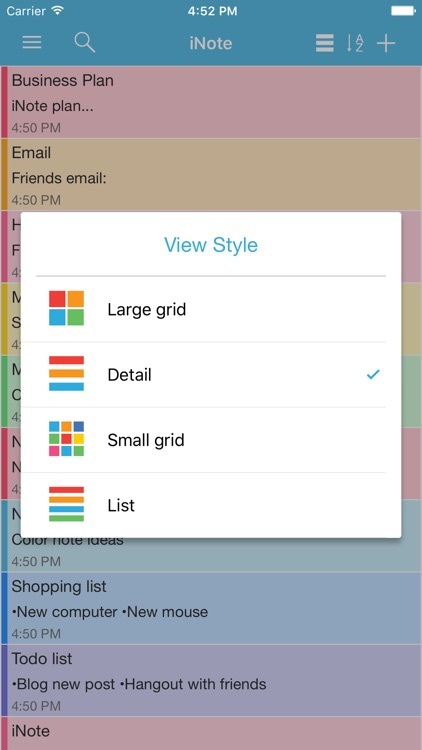 When clicking on each item, you can check or un-check as done by a quick tap. Checked item will be slashed like the way you check them on your notebook. With each note, you can add a reminder. Then the app will notify you when the even happens. You can also repeat these events daily, weekly, monthly or yearly depend on your settings. And you can view these events in calendar mode. 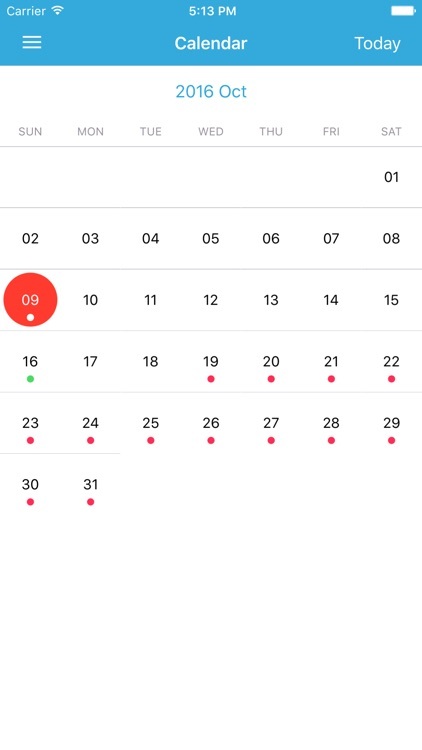 It will help you have a quick view of events on specific month and day. 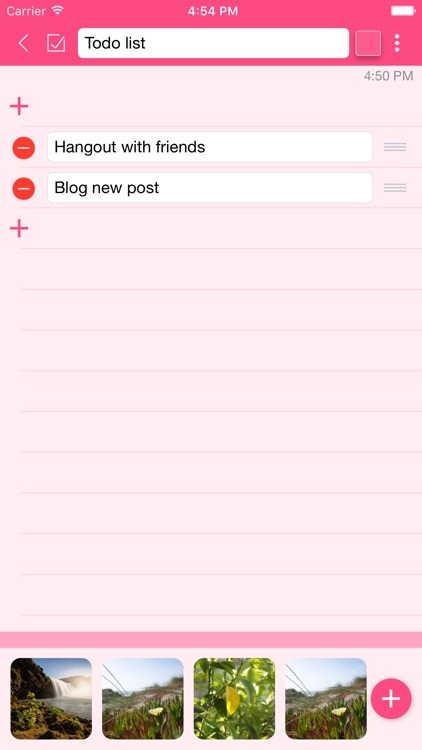 You now can pin notes on to Today Board up to 12 notes, then you can access these note every where, at any time you need from Notification Center. iNote supports up to 12 languages: English, Vietnamese, Spanish, Japanese, Simplified Chinese, Traditional Chinese, German, French, Turkish, Portuguese, Russian, Italian. The list will be continue updated.